Have you heard that music is good for children but don't know where to begin? Musicians Meurig and Rachel Bowen recommend the best music books for children. After ten years as Director of the Cheltenham Music Festival, Meurig Bowen has recently taken up a new role heading up the artistic planning for BBC National Orchestra of Wales. Rachel Bowen is busily engaged in music education in schools and as an admired director of youth and community choirs. You are a husband and wife team with a great combination of skills and experience which you’ve drawn on to create your recent book for kids, The School of Music. Meurig: Rachel teaches the same age group that the book is aimed at, 7 – 13 which is critical. She knows about what it takes to engage children and make them love music from a standing start. My background is more with grown-ups and my engagement with music has been more academic. Although, I’ve been increasingly interested in creating events for children at my festivals. Rachel: Meurig has experience in the professional world of music but he has less experience with children! I’m a music teacher so, that’s where I come in, I reckon I understand children and have experience teaching them. It’s a very lively book and impressively comprehensive. Can you tell me a bit more about how you went about putting it together? Meurig: The idea was to create a ‘lesson book’ – and a complete introduction to the world of music. The book is divided into three sections; and within this into forty individual lessons. For Term 1 in The School of Music we explore listening to music – and appreciating music in the broadest sense. Rachel: This term was designed around the idea of first falling in love with music. Meurig: Term 2, which Rachel mostly wrote, is about the building blocks of music, the theory of music, if you like. These are the things a child will need to know if they are studying for their grades – the Associated Boards Music Exams. Term 3 is a more freestyle section about participation and performance – this is the practical term – using everything you’ve learned from terms 1 and 2. It’s designed to help young people go about making their own music. Rachel: We wanted to include all musical styles and from all around the world – so it’s not just about classical and popular music genres. Why should we make sure our children are discovering music and learning an instrument or two? Meurig: It’s well-known and backed up by umpteen scientific studies that music is good for you, for the brain and the body. Rachel: From my point of view, in schools, there is nothing better than hearing a whole school singing their hearts out. Singing releases endorphins which make you happier. We cover all the benefits of engaging with music in our book in more detail – but, essentially, music has benefits for maths, language and development as well as general well-being. It’s also great for concentration, coordination and confidence. My experience as a music teacher in schools absolutely confirms this. Meurig: It’s an important subject, and we feel that it should be at the centre of education, not at the edges and seen as nice-to-have. Funding is piecemeal and de-prioritised and it’s very frustrating for us in the business to be aware that nowhere near enough children, in the state sector at least, are getting a rounded, nutritious musical education. Rachel: I teach mainly in a private school, where music is very highly respected and prioritised in the curriculum. I teach children from the age of 1 to 13. It’s a great privilege for those children to have that kind of teaching. It is sad to know that state schools can’t or don’t provide anything like this. Meurig: One of the things we’ve noticed in recent years is that there are far fewer pianos or keyboards in schools and far fewer teachers who can play them. Once you’ve got a human being playing a piano in front of children, playing in the moment, being able to respond to the singing of those children, it is a completely different thing to turning on a CD. Every state primary has to have a music coordinator. But very often that music coordinator doesn’t feel confident delivering that role fully. We recognised this at the Cheltenham Music Festival, so two years ago we set up a project called Musicate which is a CPD (Continuing Professional Development) project designed to build teachers confidence. Rachel: The programme shows them the skills they need to run a confident music session – even if they aren’t musicians themselves. Meurig: We’d love to see this programme rolled out across the country to seed a sense of empowerment among teachers and really get behind music in every school. It would be transformational, but it would be expensive. Are the books (and a piece of music) you’ve chosen to recommend for children who are already into music, or to help parents inspire their children to get more excited about music? Rachel: A bit of both. The Dorling Kindersley title is probably not a starter book – ours fits that bill for younger readers, roughly aged 7-13. The others, depending on the age of the reader, could easily be the initial inspiration or the trigger for deeper engagement. Music is a broad subject. How have you chosen your five books? Meurig: Yes, it is a broad subject; but we’ve been surprised, given that, how relatively few music books there are out there for younger readers. Someone once said that ‘writing about music is like dancing about architecture’, so maybe writers and publishers have been scared off? Who knows? It certainly hasn’t hindered the profusion of books on music for grown-ups. At any rate, it’s been interesting on occasion to see how few of the titles that do exist are carried on the shelves in major bookstores. Sometimes, it’s none, in shops otherwise groaning with children’s stock. Perhaps shops’ buyers think music is just for listening to, not reading about. Anyway, three from our choice of books are all about narrative, and drawing people into music via other means (Mayhew’s ballet and illustration, the pathos of Morpurgo’s storytelling). 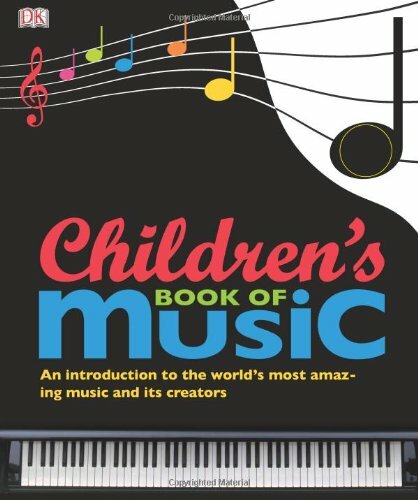 The Children’s Book of Music is the only purely factual book in our choice – but it’s so comprehensive and so beautifully illustrated that it’s never ‘dry’. And, The Children’s Book of Music is your first choice – so perhaps this is a good place to start talking about it? Meurig: If you consider our book as a first colourful primer – the next book we’d recommend is this one. Ours is a quirky introduction to music, with, we hope a light touch, whereas this takes you further into the subject. It is thoughtfully put-together and well-constructed. The editorial contributors are all serious musicians who really know their stuff making it a very impressive family reference book. Rachel: If a 7-13 year old has read our book and wants to move on to something more extensive then this is the book for them. It’s full of fantastic photographs whereas ours is illustrated – brilliantly, we think, by Daniel Frost. It’s a great reference book. Meurig: Like ours, this is not just a book about classical music. If you read this cover to cover you’ll learn everything you need to know about music including all sorts of extraordinary music from non-western cultures. I think this wider world of music is very important. 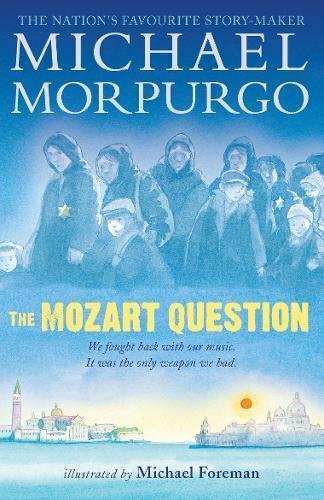 Next on your list is a work of fiction for 9-12 year old readers, The Mozart Question by Michael Morpurgo. Meurig: I first came across this when it was offered to me as an event at the Cheltenham Festival a few years ago. The story was beautifully transformed into an hour-long musical event for children and families. This is a book that introduces children to music, to Vivaldi, to Mozart, to a virtuoso violinist, and to a horrific chapter in 20th century history, the Holocaust and the effect it had on the Jewish diaspora. It’s a beautiful piece of storytelling and the music is completely embedded and entwined in the story. It’s a real tear jerker, especially when you’re listening to the music at the same time as reading the book. It pulls you into music through emotionally powerful writing. Rachel: The subject matter is very sensitively handled. Music is an expressive art, it is about feeling and emotion – and encompasses all aspects of humanity. The Mozart Question beautifully captures all this in a compact and beautifully told story. Your third choice is Ella Bella Ballerina by James Mayhew. This is for much younger children, from 2-3 years old up. Rachel: I love these books. 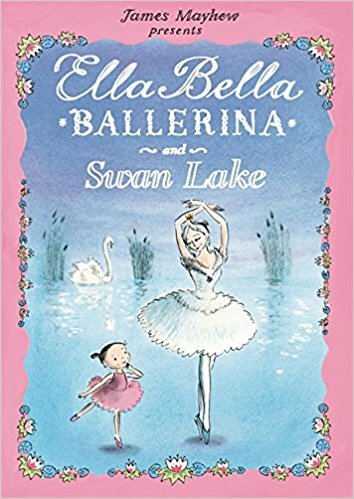 Apart from the fact that James Mayhew is a wonderful illustrator and can bring these stories to life visually, he retells the stories of the ballet in a way that inspires. Meurig: In each story a music box plays a piece of music at the beginning and this is the trigger for the storytelling to begin. In this way music is referred to directly at the beginning and at the end of the stories – at the end there is a one page precis that tells the story of not just the ballet but also of the composer. This is another way of bringing music into people’s lives slightly indirectly. With Morpurgo it is through the emotive storytelling and with these books it is via the wonderful stories of the ballet – The Nutcracker, Cinderella, Swan Lake, Sleeping Beauty. It also draws kids into music through the world of dance and ballet. I love the fact that James Mayhew puts music centre stage in his books. Music is very important to him, and his events for children that combine storytelling, live illustration and live music are wonderful. 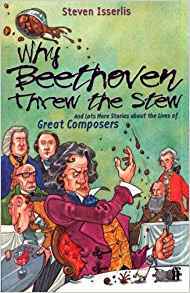 Your next book choice is Why Beethoven Threw the Stew by Steven Isserlis – this book is great for slightly older kids, 9 years and upwards. Meurig: Steven Isserlis is one of the most important cellists in the world at the moment. This book is made up of the biographies of six of his favourite composers. It’s basically a chapter on each: Bach, Mozart, Beethoven, Schumann, Brahms and Stravinsky. I’d say the ideal age group is around 9-13 years old. These books are full of anecdotes and humour. Steven Isserlis brings, what could be perceived as dusty museum like, figures completely to life in a really engaging and entertaining way. Rachel: His books are full of his personality. There is something very warm about these portraits of composers. His passion for the music and his knowledge of it shines through completely. Meurig: These composers were living, breathing, passionate, flawed and entertaining people who drank, laughed and loved like the rest of us. That is something we all need to be reminded about when we listen to their music. If you know about their life stories, the times they lived in, the great political events they experienced, it helps their music come to life. Finally, we decided that in an interview about music we should include a listening choice for young people. 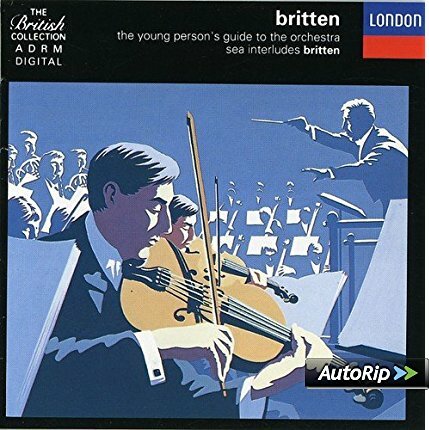 You’ve selected Benjamin Britten’s Young Person’s Guide to the Orchestra. Tell me about it. Britten takes a tune from one of his musical forebears, Henry Purcell – it’s a simple tune that was written in about 1690 – and writes a series of orchestral variations on this piece and hands out those separate variations to different sections of the orchestra to play as a means of introducing individual section of the orchestra. I’d say this piece is ideal for listeners of about 9 upwards. It a springboard for further listening. It’s such a pompous buttoned-up title from another age. Which could be off-putting – especially if you look at the original film with Sir Malcolm Sargent introducing each piece – it’s really dated. But if you take that out of the equation this is an incredible piece of music. It’s a simple idea and if it hadn’t been done by a genius like Britten it would have fallen flat on its face. Britten did amazing things with that simple tune. He made it entertaining and vigorous and incredibly engaging. If you imagine a drone camera flying around and honing-in really closely on different parts of the orchestra as you listen to it. Rachel: That’s a great idea! Essentially, it’s a brilliant piece of music. 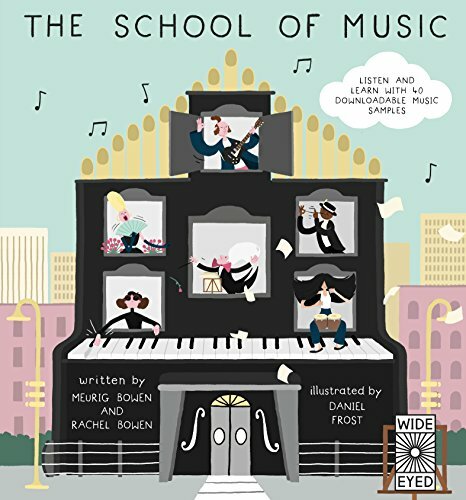 Get The Children’s Book of Music out in front of you (and our book!) and hear – in quite a compact period of time – what all those instrumental sections sound like. You really can’t do any better than listen to the Britten. Meurig: When the Purcell tune comes back at the end it is just a glorious moment. I always turn the hi-fi up to maximum and just bathe in that. Rachel: For under 9s, we would recommend Prokofiev’s Peter and the Wolf, for a similar experience. Which reminds me that you have kindly put together a list of further listening for us. Meurig: The holy trinity of orchestral music for children is the Britten, Saint Saens’s Le Carnaval des Animaux and Prokofiev’s Peter and the Wolf. These pieces have just never been bettered yet. Rachel: In Peter and the Wolf, Prokofiev attached particular instruments and musical motifs to individual characters and animals. It’s pictorial music for children. Meurig: I’m not sure enough children are hearing these amazing pieces in their primary schools today – so I hope that recommending them here will be a way of getting these pieces into their heads and their imaginations.